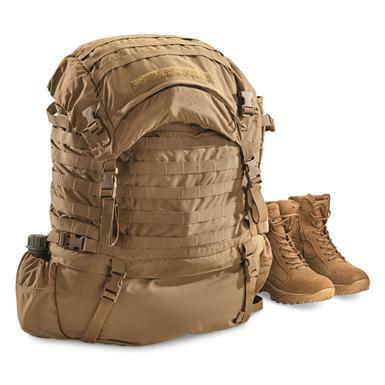 This is the Main Pack of the USMC FILBE Pack System. Designed to carry every piece of individual combat equipment issued to a Marine in support of combat operations, in some cases up to 125 lbs. of gear! 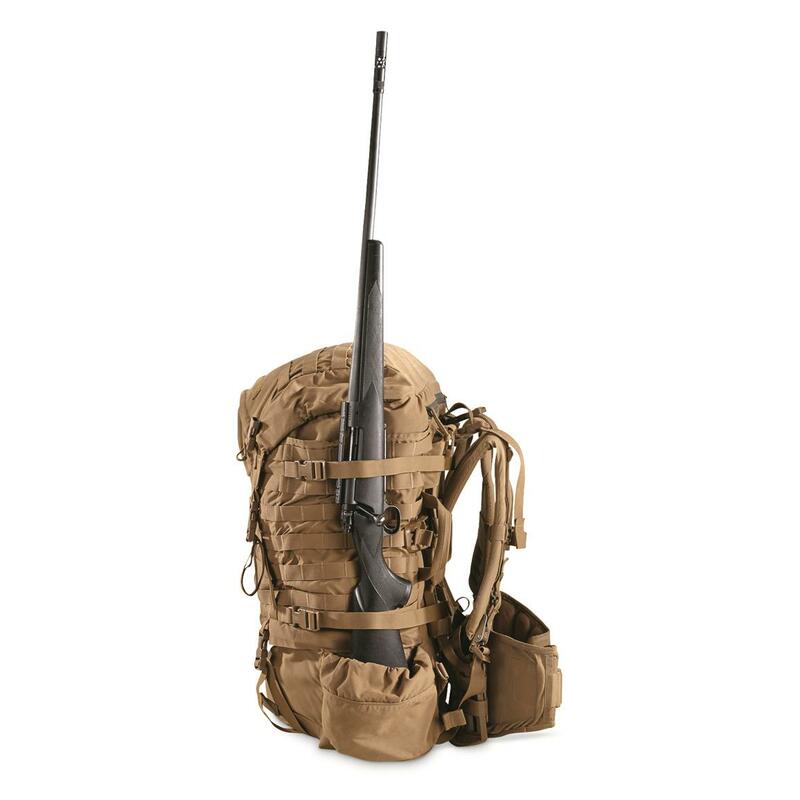 Food, hydration, clothing, rifle, the whole package. 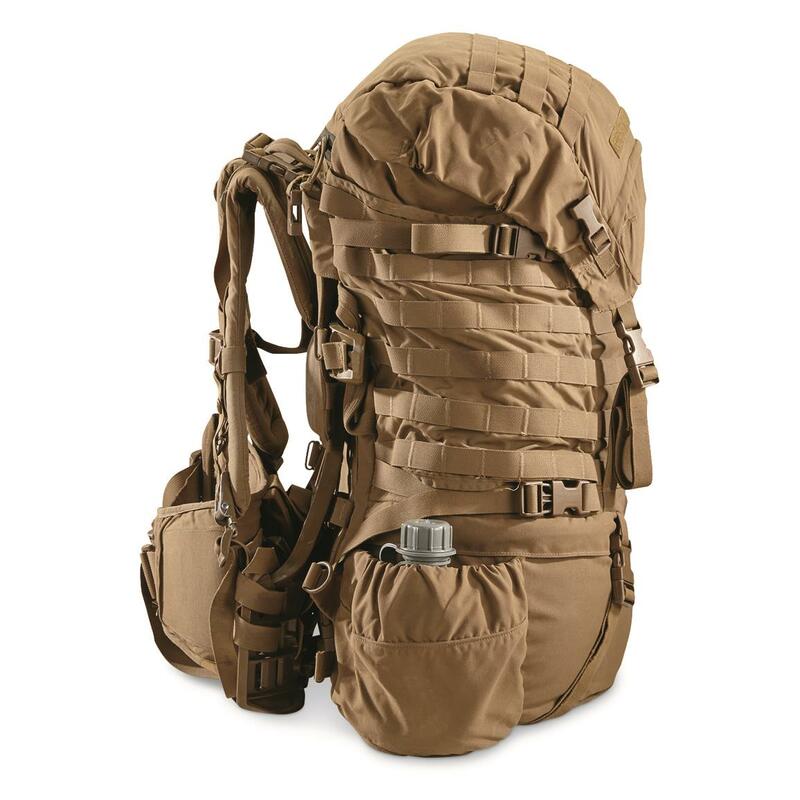 Includes lightweight plastic frame and shoulder/waist harnesses for evenly distributing weight. Made to go the distance through the most unwelcoming territory around the world. Total Capacity: 5,000 cu. in. 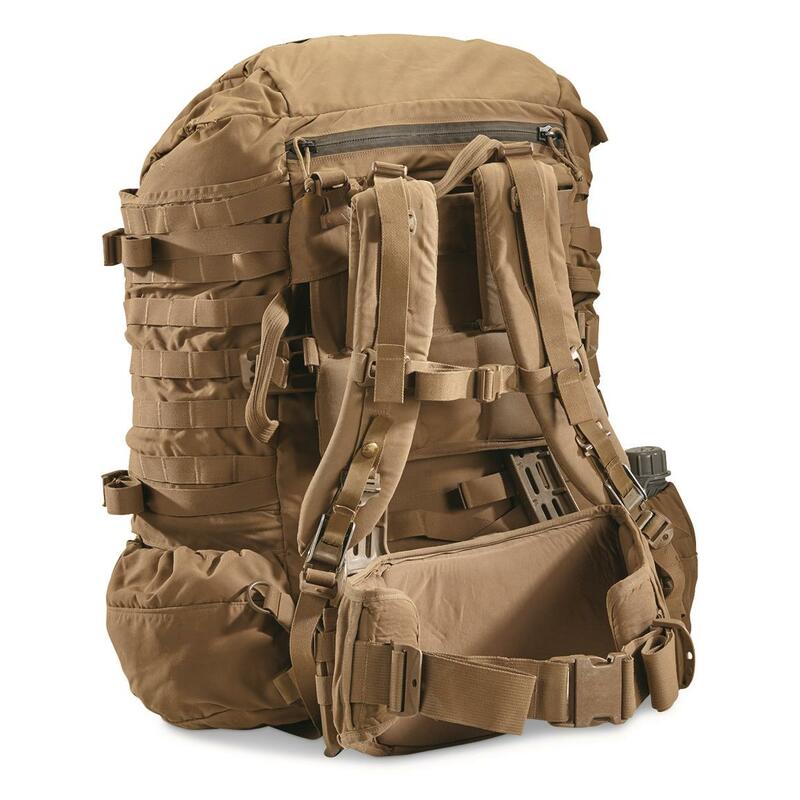 Main Compartment: 14" x 10" x 28"